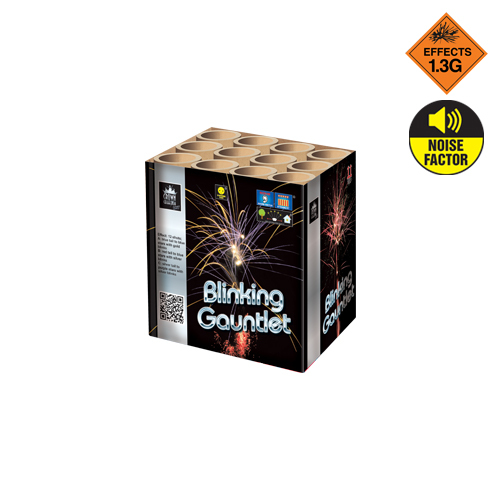 Have a blinking good time with this stunning small 1.3g effect firework. The Blinking Gauntlet has 12 mighty shots reaching over 70 feet in the air. You get alternating spinning coloured tails in red, blue and silver leading skyward to stunning silver blink bouquets, and purple stars with a silver blink. 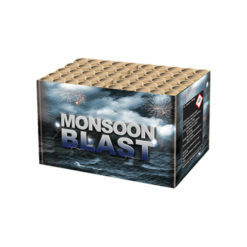 Big bursts with big noise and a bonus of coming free with Cosmic Rain at the time of buying, definitely recommended. This looks so small but crikey, when you light it it stops being small, the bursts and power are amazing! Perfect for your garden, WOW. I fired this as part of a short display in October 2016. 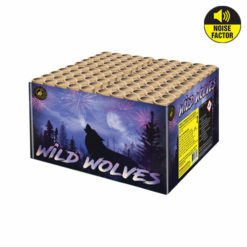 For it’s price point and size, this is an amazing firework. Very highly recommended. At the time of writing, it can be had free if you buy Cosmic Rain. Video is of it being fired in my garden. 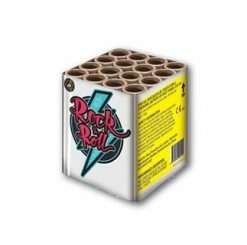 A phenomenal small category 2 firework, that needs that bit extra space. Recommended minimum safety distance of 15 metres. 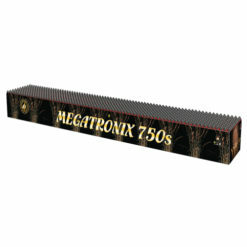 Follow the safety instructions and guide to safety for the best and safest display. The proof is in the pudding so check out the video!